ATLANTA — (February 11, 2015) — Forbes Travel Guide today unveiled its annual Star Rating list, naming The Wort Hotel as two-time recipient of the Forbes Travel Guide Four-Star award. The Wort Hotel will be showcased with all of the Star Rating recipients on ForbesTravelGuide.com. With 59 rooms and a staff committed to the highest standards of gracious hospitality, The Wort Hotel is able to personalize each guest visit with its unique brand of western hospitality. General Manager Jim Waldrop said, “To receive the Forbes Travel Guide award two consecutive years exemplifies the consistently high level of service and hospitality that our hotel provides. The dedicated and loyal staff, who truly care about our guests, are the key to this continued success.” Hotel owner Bill Baxter added, “Our family recently celebrated 10 years of ownership and every year just outshines the previous. We could not be more proud of these accomplishments and the amazing staff who make it all possible.” The Baxters are only the fourth owners of the hotel since it opened its doors in 1941. ForbesTravelGuide.com combines the objectivity and heritage of the Forbes Travel Guide Star Rating system with insightful recommendations from a hand-selected group of travel experts, tastemakers and Forbes Travel Guide inspectors. 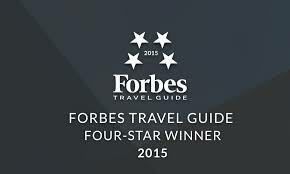 ForbesTravelGuide.com is the sole online destination for Forbes Travel Guide’s list of Star Rated hotels, restaurants and spas, and gives its registered members exclusive access to special offers and curated experiences from select Forbes Travel Guide partners. For more information about The Wort Hotel, visit the website at www.worthotel.com.